Think about your life over the last decade for a moment. Is there something you’ve done every single day, without fail? I’m not talking about mundane tasks, like cleaning your teeth or doing the washing up, but genuinely creative activities. I bet most people would be hard pushed to think of anything, unless they work in a creative industry or perhaps play a musical instrument. This November will mark a significant anniversary in my photographic life. Back in 2008 I started a year long photo a day project. Ten years on, I’m still at it. That means for 3652 consecutive days I’ve taken at least one fresh photo and posted it on my blog! I started my Photoblog in December 2007, initially posting sporadically. Over the months that followed I began to share photos more regularly, although not daily. 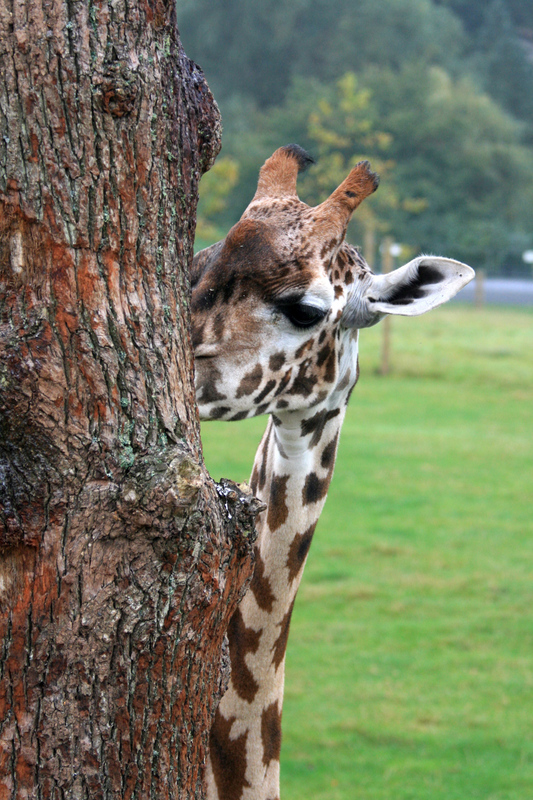 The first photo I ever posted to my Photoblog, taken at Marwell Zoo. Not great art, but you’ve got to start somewhere! As a musician I’m used to the concept of practising regularly. To hone your technical and musical skills it’s important to play your instrument as often as possible, and I figured there was no reason why that shouldn’t apply to photography too. Eventually I slipped into the habit of shooting and posting every day and 8th November 2008 was the the last time I didn’t share a daily photo. I never intended to do a 365 project (shooting every day for a year) but it was something I slipped into, almost by accident! During that first year I learnt a lot of photographic survival skills. Inevitably there were times when I lost motivation, but somehow I always found something to photograph, no matter how mundane. I reached November 2009 and considered whether to stop there. Despite the inevitable ups and downs I figured I’d miss the regular shooting so I simply kept going, with no finish line in mind. As I suspected, my skills did indeed improve with daily practice. Looking back through my blog, there are plenty of shots from 2008 I wouldn’t dream of sharing now. Today I like to think my photos have more polish thanks to improvements in both my technical and creative skills. Shooting regularly has also led me to try new genres of photography, sometimes with surprising results. 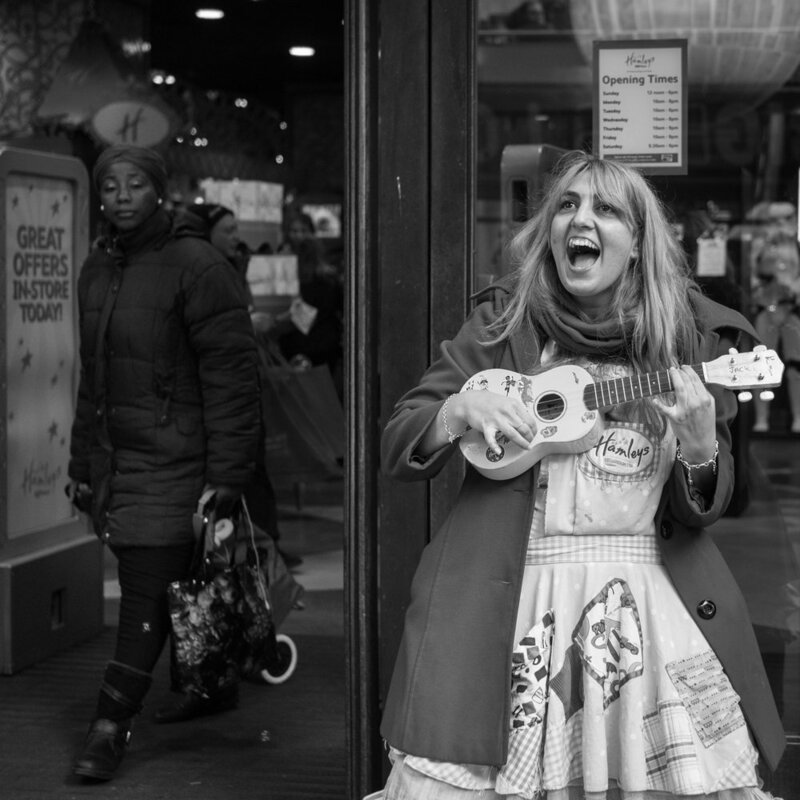 Who’d have thought I’d get into street photography, but it’s now one of my favourite genres! A few years ago I’d never have had the courage to get this close to strangers on the street - now I love street photography! Along the way I’ve learnt lots of useful practical skills, many of which are useful to all photographers, regardless of whether you’re trying to maintain a 365 habit like me. This one’s obvious when you think about it. Many people do this in any case, with a camera on their smartphone. Despite this convenience I still prefer to use a camera if possible, so I’ve got into the habit of always carrying at least a camera body and one lens. Over the years my camera kit has changed quite substantially, from a Canon DSLR to a much smaller mirrorless setup. This certainly helps when it comes to portability and I no longer have to lug around a huge bag! 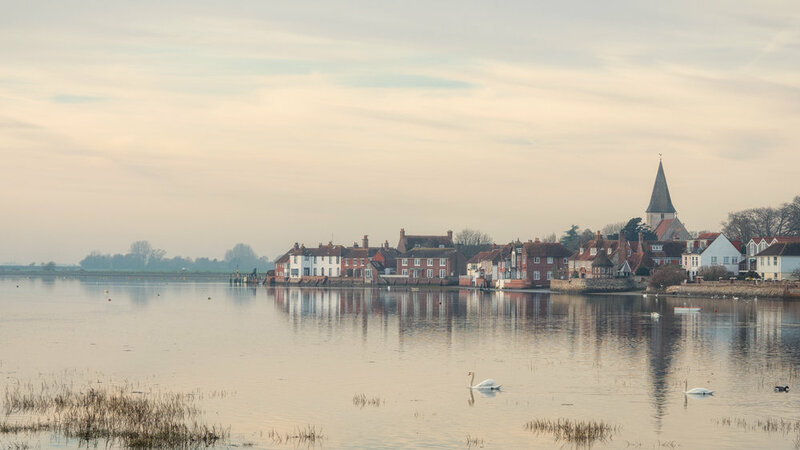 I would never have been able to take this photo of Bosham Harbour if it weren’t for my habit of always carrying a camera. Quite by chance I was in the right place at the right time and had my little mirrorless camera with me. People often assume that taking and sharing a photo every day consumes a large part of my day. Yes, there are days when I choose to take more time, but it doesn’t have to. 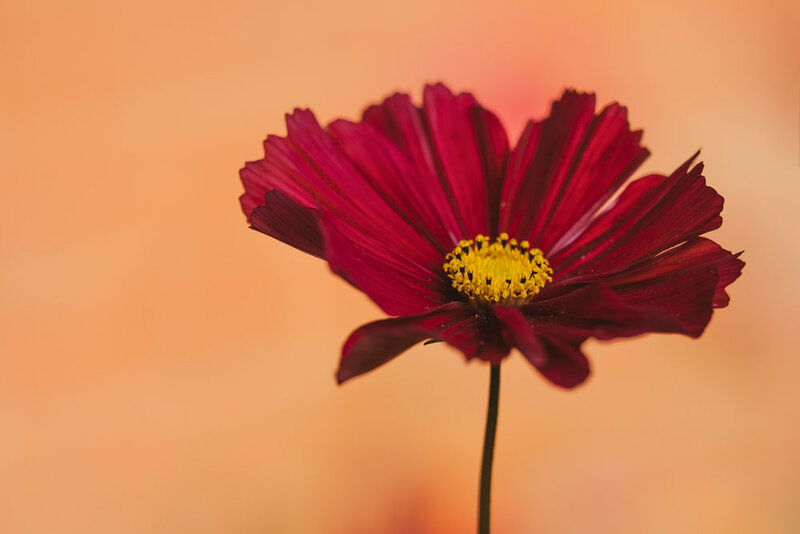 For instance, today I took a quick snap of a cosmos flower in our garden, spent a couple of minutes tweaking it in Lightroom. Combine that with writing a little text and posting to Photoblog - all done in no more than 15 minutes. I probably spend longer drinking coffee each day! I’ve been known to photograph all sorts of unlikely subjects to fulfil my daily picture remit, from forks to manhole covers! If you try hard enough, there’s a photo to be found in anything and everything. There are days when I find myself travelling home from work, pondering the fact that I haven’t yet touched my camera, and something will jump out at me. For instance, on Sunday I noticed the moon as I drove home from a rehearsal, so I stopped to take a photo. A little local knowledge meant I knew of a suitable lone tree nearby so I stopped again further down the road to shoot that. 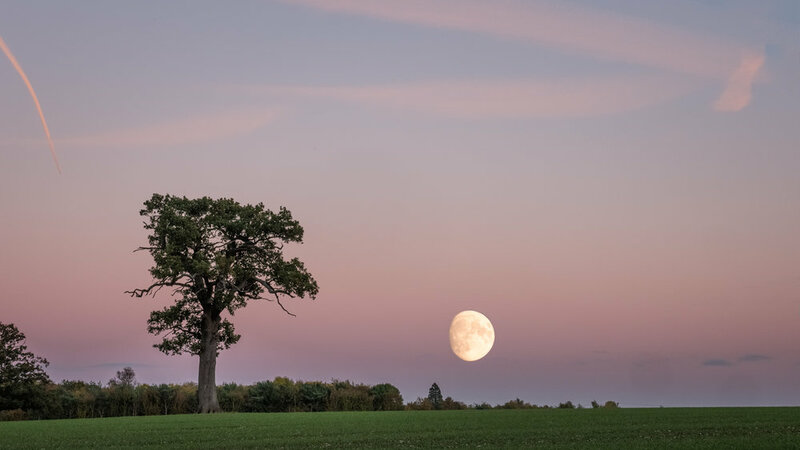 A few minutes spent in Photoshop to combine the two when I got home, and I had a moonrise picture which wouldn’t have been possible if I hadn’t opened my mind to the possibilities as I was driving. And I don’t mean editing in Photoshop! Some days I’ll go out for the whole day to take photos, coming home with perhaps hundreds of images on my memory card. As the years have passed I’ve become much more efficient, and ruthless too, when it comes to selecting which of those pictures will be shared on my blog. When you start out, every picture seems valuable and you’re reluctant to bin anything. As my photographic eye has developed I’ve come to recognise what makes one photo more successful than another. Yes, there will be some pictures that make the cut simply because of the emotional relationship I have with the circumstances surrounding the moment I shot them. There’s nothing wrong with that, but if you really want to develop you have to learn to be ruthless. You only have to search Flickr to see people who share fifty incredibly similar photos, all telling the same story. I like to think I’ve moved away from that type of sharing now. Yes, I’ll come back from a shoot with several near-duplicate shots, but I’ll whittle them down to the very best one or two. This stops my audience getting bored and ensures I show just my very best work. I won’t necessarily delete all the rejects, but the world really doesn’t need to see dozens of almost identical meerkat photos! A pair of courting fulmars from my trip to Orkney in March. I have lots of fulmar pictures, but this one made the cut because of the sense of tenderness between the two birds. Much as I’d love to share a piece of fine art every day, sometimes life just gets in the way. On those occasions I’ll find something that interests me, or perhaps document a little of what I’ve been doing that day. This has got harder as the years have gone by and I’ve become pickier about the quality of my pictures. Some days I’ll come to the conclusion that I’m hopeless and my pictures are complete tosh. Then I look back to 2008 and see how far I’ve come and realise it doesn’t matter if I have the occasional off day! People often still find quite mundane photos interesting if there’s a story behind them, and sharing your failures can be helpful to others too. I shared this picture recently to show how I digitise my film negatives. Not great art, but others found it helpful and it sparked quite a discussion on Facebook! More recently the pressure of shooting every single day has begun to take its toll a little. My working life now consists of many more different elements (music, photography, writing and working for the National Trust to name a few) so I find myself juggling many more deadlines. I still enjoy photography enormously, but there are days, usually when I get home after a whole day of conducting somewhere far away, without a single photo in my camera when my heart sinks. I always find something to shoot though, even if I’d rather flop on the sofa with a cuppa! Ten years seems a natural time to call a halt on shooting and posting every single day - after all, there are many crimes for which you’d do less time! Over the last few years I’ve been working on a long term project, photographing the dozens of churches in the City of London. I’ve really enjoyed this and would like to have more time to devote to projects. Freeing myself from the constraints of shooting something fresh every day will help with this. I’d also like to work towards my LRPS qualification. For that I need to have a group of ten really strong images to display. Yes, I could dive into my sizeable archive for these, but they wouldn’t necessarily make up a coherent collection. By giving myself a little more free time I can really plan these images and make sure I achieve a better quality than I would if I shot things in a hurry, as I so often do. Another recent enthusiasm is shooting on film again after a gap of fifteen years. I’ve got a small collection of film cameras I use and I’m really enjoying the results. However, film isn’t as instantaneous as digital. That means if I’m shooting on film I also have to carry a digital camera to take extra photos to share that day. I’m relishing the idea of having the occasional day when I shoot just with a film camera. Don’t worry - I’ll still share the photos (if they’re any good) but it may take a week or two before I get them developed! Fear not, I won’t be disappearing from my Photoblog entirely! Once I reach the ten year mark, on 9th November, I’ll still be posting new pictures very regularly. I may miss the odd day, and it may be that I don’t necessarily publish images the day they were taken. I will still carry a camera with me everywhere I go as you never know when a photo opportunity will arise. After all, fortune favours the prepared mind, as Louis Pasteur once said! Will I ever go back to my 365 project? Never say never - but I think it’s time for a break for now. Nothing in life should remain the same forever, especially not photography!